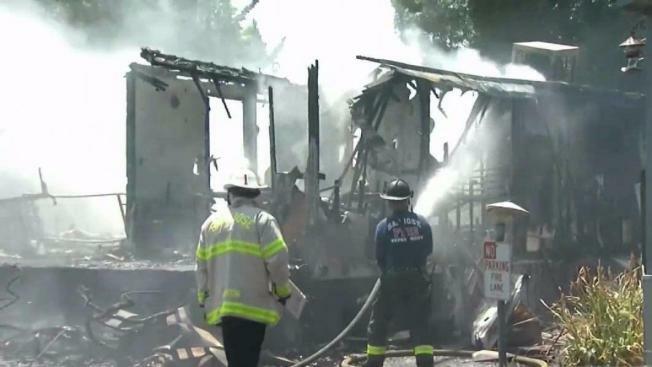 A family who lost loved ones in a triple-fatal mobile home fire in San Jose will receive a new manufactured home to replace the one lost in the tragic blaze earlier this month. Over two hundred people gathered to donate more than 230 thousand dollars to the victims families. The Aug. 15 fire at 900 Golden Wheel Park Drive killed three people, including 10-year-olds Linda Van and Thao-Uyen Tran, according to a news release from Councilmember Tam Nguyen's office. A man also died in the fire but has not yet been identified by the Santa Clara County medical examiner's office. 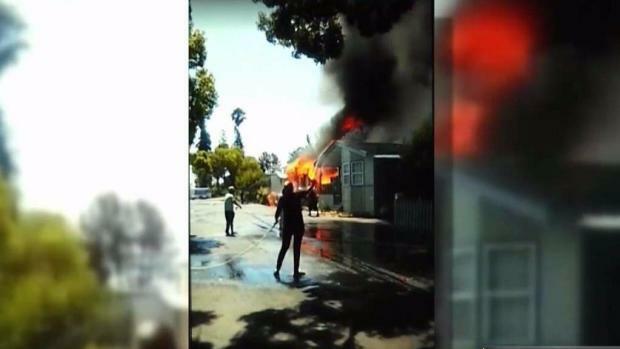 San Jose city leaders on Tuesday will announce a gift of a new mobile home for a family who is grieving after a fire last week. A ten-year-old girl who lived at Golden Wheel Mobile Home Park died in the fire along with her friend and an uncle. There has also been an outpouring of donations to help the family move forward. Councilmember Nguyen and Raul Peralez hosted a news conference announcing the gift to the family Wednesday in the Golden Wheel Mobile Home Park. "We would like to give the Tran and Bui family a new home and a new beginning," said President and CEO of San Jose-based Advantage Homes, Todd Su. Su and his wife Cindy worked alongside Nguyen to get the donation processed. The new home is expected to be ready for move in by Christmas once the clean-up and demolition efforts have finished. In addition to the donation of the home, Kieu Hoang -- CEO of Rare Antibody Antigen Supply Inc. -- has offered to pay for the cleanup and installation of the mobile home, as well as giving the family additional unnamed gifts. "No amount of money will brink back their lives but we can show support and love," said Hoang. Firefighters are still trying to determine the cause and have so far ruled out arson. To prevent further tragedies from happening at the mobile home park, volunteers will be canvasing on Oct. 1 to install free smoke detectors.